Ministerial level talks between Britain on the one hand and the Southern African Customs Union and Mozambique on the other are scheduled for Friday. South Africa and its southern Africa customs union partners will be trying to conclude an agreement with Britain on Friday on the trade ties and tariffs in the post-Brexit era but sticking points remain, Trade and Industry Minister Rob Davies said on Wednesday. Ministerial level talks between Britain on the one hand and the Southern African Customs Union and Mozambique on the other are scheduled for Friday, he told a media briefing. The aim is to thrash out the finer points of extending the Economic Partnership Agreement (EPA) the six nations have with the EU to post-Brexit Britain on a bilateral basis. “We have reached agreement on a huge number of issues, we basically agreed we would roll over the EPA on a bilateral basis then come back later and discuss whatever other trade relationship we may have that may differ from the EPA,” Davies said. These had to be renegotiated with historical trade patterns in mind, so officials had to determine how much of South Africa’s quota in a category went to Britain as part of the EU and transpose that into a new interim accord. “That has already been done and it should not be a bad deal as far as that is concerned,” Davis said. Negotiators still have to agree on a new framework on sanitary and phyto sanitary requirements that would apply on agricultural imports from South Africa and its neighbours. Departmental officials said there were no serious concerns in this regard because traditionally Britain has adopted a far less protectionist stance than the rest of the EU. Crucially though, Davies pointed out, timelines have to be agreed for recognition of health certificates. Exporters carry the cost of these individually and therefore questions in this regard could have significant impact on them, he pointed out. The bigger sticking point still was a deal on cumulation – the mechanism that allows countries that belong to a preferential trade agreement to jointly produce items and jointly comply with rules of origin provisions. The UK sought an extension of the status quo but Davies said it would only hold for a while with a review in the near future in order to deal with reserve cumulation. “We said we will go somewhere along the line for a short period of time and then we will have to review it,” he said. Davis was speaking hours after the British government announced a tariff regime that would apply for 12 months in the event that Britain would crash out of the EU without a deal. This would replace an earlier scenario where tariffs would revert to those imposed by the World Trade Organisation in the 1990s. The no-deal plan would see Britain cut tariffs on 87% of imports to zero. 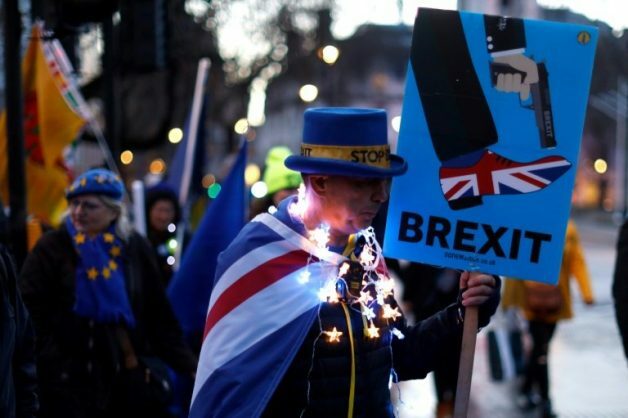 It was announced just after British MPs voted down Prime Minister Theresa May’s proposed deal on Britain’s terms of departure from the EU and just before they were due to vote on Wednesday on a motion to rule out a no-deal exit. Davies said while the tabled tariff regime would be highly favourable to some South African exporters, such as wine and fruit farmers, it would have dire consequences for the automotive industry who would now face 10% import tariffs. Beef, pork and poultry exporters would also have to pay tariffs. It would be clear by the time talks resumed on Friday whether the prospect of a no-deal Brexit remained on the table, and South African exporters may have to contend with this tariff regime. It could prove fatal for South African car exports to the UK, Davies warned. “If we were to export cars at 10% duty, it is finished, I don’t think we would be in the UK market really,” he said, adding that it would also prove a blow for Botswana’s beef exports to Britain. Local grape farmers could sleep easy for at least a year though. But nothing was certain until British MPs came to greater clarity though, he stressed. Davies said for South Africa, inking an agreement based on the template of the EPA was “the first prize” but there was a further hitch in that it might not happen in time to be approved by parliament next week, the last opportunity before the May elections. If this deadline were missed, the governments would enter into a memorandum of understanding and “keep talking” until a new legislature was in place after the local elections.